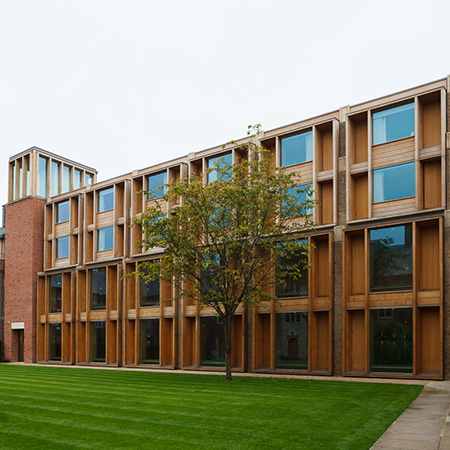 GEZE’s natural ventilation system has been incorporated in to refurbishment works at West Court, Jesus College, Cambridge. 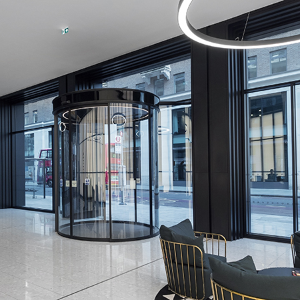 The system is integrated into four areas of the development, including a conference room with the iconic Lantern Tower, lobby and reception area, and uses GEZE’s award-winning Slimchain automatic window drive and is managed by the WS 1000 indoor climate building control. 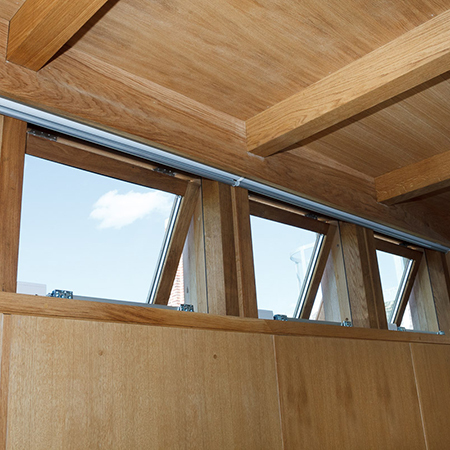 GEZE UK provided a full suite of natural ventilation products which include Slimchain window actuators for outward opening vents, DMS 5 open/close controllers, temperature sensors, weather station and WS 1000 touch screen controller. 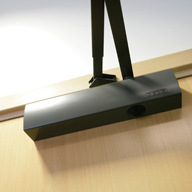 The Slimchain actuator range is extremely versatile and an ideal choice in creating a climate control package. 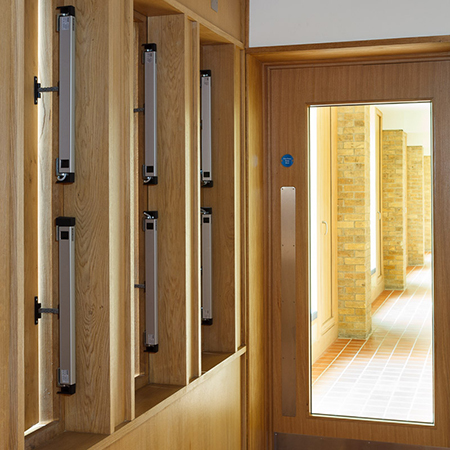 It has a broad range of applications and meets diverse requirements for varying loads, upstroke lengths, opening widths and the widest range of installation types. With a maximum upstroke of 800 millimetres, it achieves a large aerodynamic opening width, meaning that it can also be used in natural smoke and heat extraction devices (SHEVs) in line with EN 12101-2. 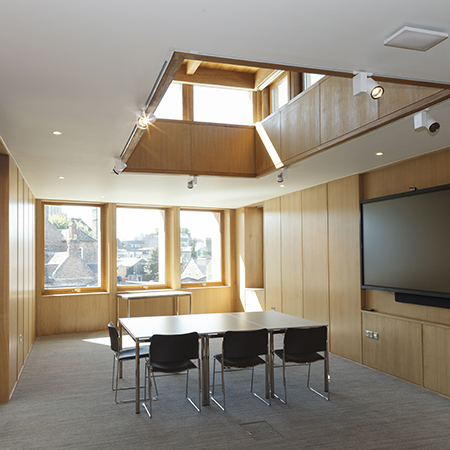 Its discreet design was ideal for architect Niall McLaughlin’s design which combined organic aesthetics with the exacting demands of functionality. 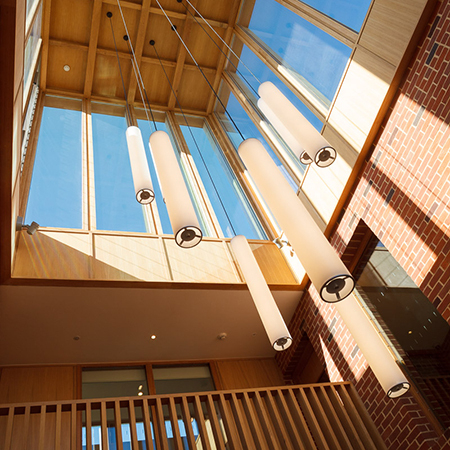 West Court was a three-phase development which involved the renovation of existing buildings and incorporated part of the historic Wesley House.